Please join us for an original performance by TMAX Performance Project, a performance-based dance-theatre company for teen-artists looking to explore dance, performance art, film, set and costume design. 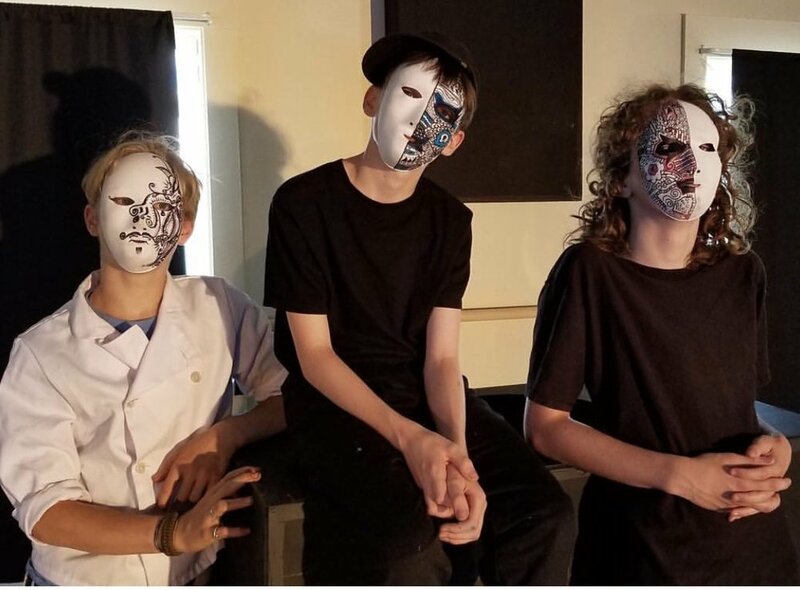 Through multiple performance opportunities throughout the year, young artists are given the space to create choreography and learn the multifaceted aspects of production. Proceeds from the performances go to creating more TEEN artist programming. As we become increasingly less connected physically and more superficially connected via phones and computers we find ourselves, as educators, swimming upstream. That is why we are more excited and honored than ever to support these teens. They come to this space and hone new skills, explore their self expression, creativity, and sense of commitment and ownership of that magical thing called performing. We recognize that moving through the teenage years is a complex journey. It is a time in life to explore, become independent, question authority, forge your own path and design the future. In our work with the teens we strive to create relationships that embrace their individuality and creative souls. Our expectation is that they engage in the process, find a sense of ownership in the work, and then feel a sense of accomplishment. And, miraculously they all rise to the occasion! They are, of course, hard wired for magic! Over the course of the last two years, TMAX Project has performed at Sandisfield Performing Arts Center, Jacob's Pillow Community Day, and Mahaiwe Performing Arts Center. TMAX, along with adult community dancers and singers, collaborated on two live music and dance pieces. TMAX Project has also danced at community events such as Relay for Life, Great Barrington Farmers Market and The Holiday Stroll. You may have seen teen ghouls moving around downtown Great Barrington, or perhaps as marionettes in the window of Matrushka’s. The teen dance artists of Moving Arts Exchange are performing inside and outside with creative determination and discipline, while gaining lifelong experiences that promote critical thinking, problem-solving, and community awareness. Female | Leggings and Tights, Leotards, Hair pulled back and out of face, black layers, bare-feet AND Black Sneakers. Male | Form fitting t-shirt, black dance pants, or sweat pants, bare-feet and Black Sneakers.